Tech Care for All (TC4A), a social impact company dedicated to improving health outcomes in Africa and Asia, today announced the launch of its East Africa business, to be headquartered in Nairobi, Kenya. Aspiring to be a key contributor to the achievement of universal healthcare, the company marries technology with transformation of local health ecosystems across both public and private sectors. We are also pleased to announce Dr. Benson Chuma, MD as Tech Care for All, East Africa CEO. Dr. Chuma is an avid health entrepreneur with over ten years’ experience across sectors including public and private health delivery, healthcare consulting, and health financing. He holds a medical degree (MBChB) from the University of Nairobi and a Master of Public Health Specializing in Health Economics from the University of Cape Town, South Africa. Partnering with Kenyan firm Savannah Informatics, a key player in eHealth software, TC4A East Africa offers solutions to help patients to access quality care, doctors and other providers to increase their skills, and health leaders to make informed decisions as they tackle challenging issues such as Kenya’s “double burden” of both infectious diseases and now increasingly, non-communicable diseases like hypertension and diabetes. Tech Care for All CEO Emmanuel Blin says his “company was attracted to Kenya by the country’s leadership in harnessing the power of digital tech in other sectors such as financial services and by its dynamic entrepreneurial culture”. The company, which is registered in Belgium, has over the last two months entered the Indian and West African markets, choosing Senegal as a hub for the latter. The launch of Tech Care for All East Africa will be marked by an official gathering of main players of the healthcare ecosystem, including Nairobi Hospital CEO Dr. Gordon Odundo and Kenya Healthcare Foundation Chair Dr. Ammit Thakkar, along with Dr. John Muthee who is Managing Director & Co-Founder of Savannah Informatics. “We are very happy to partner with Tech Care for All and we are looking forward to work with them to adapt their digital health technologies to Kenya & East Africa specific needs” says John. Tech Care for All East Africa will be represented by its inaugural CEO Dr. Benson Chuma as well as Mr. Emmanuel Blin, its founder and global CEO. Tech Care for All strives to offer comprehensive digital products to address the major pain points and most urgent needs faced by lower-middle income countries like Kenya, such as inequities between urban and rural areas and chronic workforce shortages. Medical Learning Marketplace. This worldwide medical platform connects doctors and nurses to their expert colleagues for in-person, peer-to-peer training and continuing medical education. eLearning via both synchronous and self-paced courses will also be offered with the aims of strengthening centers of training excellence and building up online communities of practice among different specialties. Telediagnosis and telemedicine. TC4A’s integrated consultation, diagnostics and lab ‘in-a-box’ platform is seen by many as a key component to boost healthcare access very cost-effectively and deliver affordable care to the hardest-to-reach and poorest populations. Mobile-friendly, online/offline Electronic Health Record (EHR). This mobile-friendly, intuitive EHR application enables healthcare providers to capture key data at the point of care, guides them with alerts and tips, has integrated analytics, and can “talk to” other data systems in order to communicate health data. 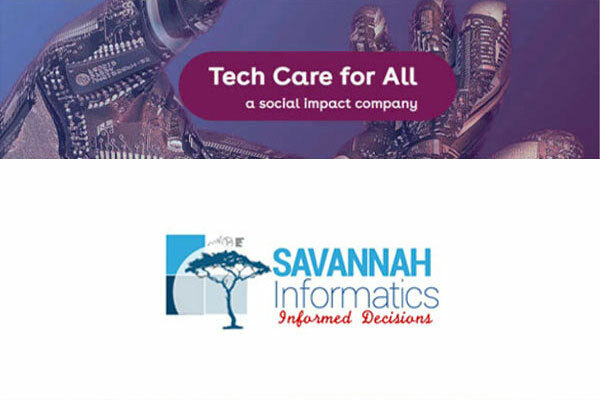 Today, thanks to its partnership with Savannah Informatics, Tech Care for All East Africa stands poised to sustainably transform healthcare in Kenya and its neighbors.